We received a lot of great feedback from my post last week on creating student dropboxes in Google Drive to help organize your student’s work. On Twitter, Natalie O’Neil gave Mike a shout out pointing us towards gClassFolders. 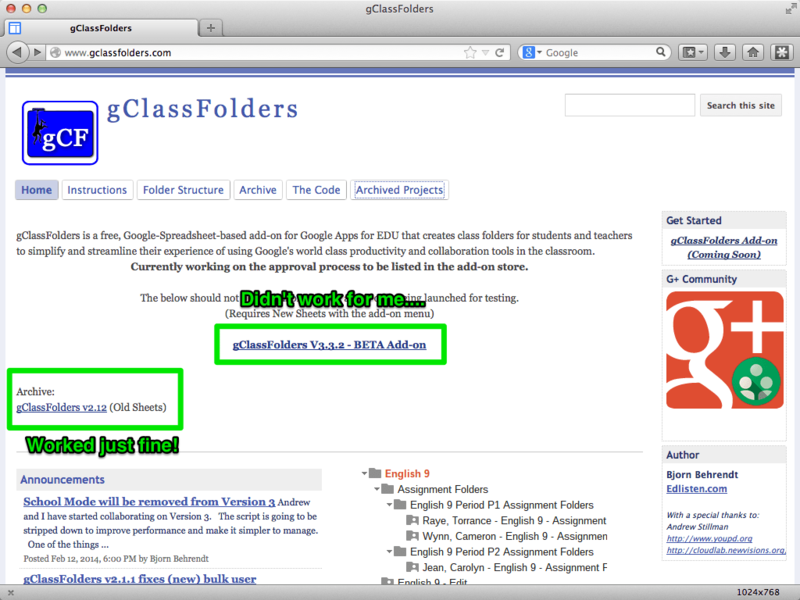 @mikegusto wouldn’t #gClassFolders be a time saver? I use it and can’t imagine living without it! Thanks, Natalie, for the suggestion. After some research, I ran into my original notes on gClassFolders (thank you Evernote! ), and, you are correct…. it is an amazingly powerful tool! You can find more information at their website, www.gclassfolders.com. gClassFolders is a script that automates the process I talked about last week: creating a series of folders that provide a digital dropbox for students to share their work. Unlike my manual solution, this creates a very functional set of folders for each class including a class edit folder (documents editable by everyone in the class), a read-only folder (documents that students can view only) and individual assignment folders that are shared with students to drop in their work. I must say that there are some caveats. First, I wasn’t able to get the latest beta version to work (which utilizes the new version of Sheets), however, they still post an old version that worked for me without issue. Second, the tool itself wasn’t as intuitive as I would expect for new Google Apps users. It took some time for me figure out how to install and use this, despite detailed instructions. I originally explored this tool with a group of students in my educational technology methods class at the University of Montana. Then, my students found it difficult to use, and my original notes stated that it was more or less a “varsity level” integration tool. That all said, this is an amazing tool and worth your experimentation. I am particularly encouraged by the notice on their page that “Currently working on the approval process to be listed in the add-on store.” Putting this script in the new Sheets Add-On system would make installation and use effortless. I look forward to returning back to this tool upon approval! Jason is a NCCE Tech-Savvy Teacher in Residence at blogs regularly at the NCCE blog. 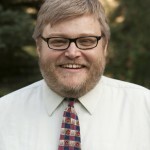 Jason is the first curriculum director of the Montana Digital Academy, Montana's state virtual school. Since MTDA's start in 2010, he has lead a team of over 100 teachers delivering over 100 course titles to tens of thousands students across the State of Montana. Before working with MTDA, Jason was a veteran classroom teacher with experience in two large high schools building diverse, successful programs in social studies, debate, speech, newspaper production and computer science. Jason is a leader in educational technology integration and popular speaker and trainer with experience working with thousands of teachers from all levels to improve their tech-savvy teaching. A doctoral candidate at the University of Montana, Jason is studying open education resources, online learning and the impact of internet filtering on classroom technology integration. Jason has been honored as a Distinguished Educator, Most Inspirational Teacher, Outstanding Teacher and winner of the ISTE “Making IT Happen” award.